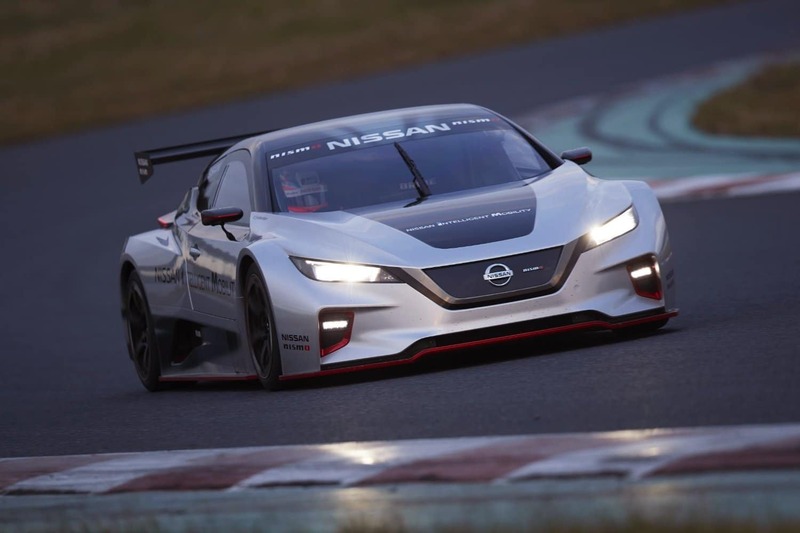 It’s an electric race car with more than double the maximum power and torque output of its predecessor, and it was unveiled today in Tokyo, at Nissan Crossing in the city’s Ginza district. With dual electric motors, all-wheel drive and an aggressive, restyled body shape, the purpose-built car demonstrates how Nissan’s electric vehicle technology can deliver exciting yet quiet, zero-emission power. It’s a key component of the company’s Nissan Intelligent Mobility vision. The model is equipped with advanced battery technology and drive train components from the Nissan LEAF, the world’s best-selling electric car. “The LEAF NISMO RC shows how we’re setting our sights even higher when it comes to raw power and performance – making electric vehicles even more exciting for customers,” said Executive VP Daniele Schillaci. Nissan plans to build six of the all-new LEAF NISMO RC vehicles to deploy around the world, so that fans can experience the power and excitement firsthand. THE first rule of Pony Club is; wave. The second rule of Pony Club is; wave back when other Mustang owners wave to you. Who knew Pony Club was even a thing amongst owners of the benchmark Ford coupe, but it most definitely is.